I've mentioned before here that I was born with a worry tendency. As some children are born with freckles or blue eyes, mine was worry. Probably on my birth certificate somewhere. What I haven't confessed before is how much I think of shaking people who tell me--"just let it go" when discussing my worries. It's an awful, frustrating feeling and makes me realize how much people don't understand. Don't they know I don't have any control on this! Joke's on me-I didn't understand either. While their motive has been right, their words have been wrong. God gives clear instructions on how to deal with this in 2 Corinthians. In 2 Corinthians 10:4-5 Paul says: The weapons we fight with are not the weapons of the world. On the contrary, they have divine power to demolish strongholds. We demolish arguments and every pretension that sets itself up against the knowledge of God, and we take captive every thought to make it obedient to Christ. Notice the words "let it go" were never anywhere it. Why? I believe because it doesn't work. Letting it go never once worked for me. God says no-take them captive. Remember, you can't take anything captive that you don't have authority over, so essentially He is saying that I have authority over this thought so I am able to take it captive. Not because I'm so great and powerful, but because I represent Someone who is. Finally brothers and sisters, whatever is true, whatever is noble, whatever is right, whatever is pure, whatever is lovely, whatever is admirable-if anything is excellent or praiseworthy-think about such things. Ok so now I know what to do with the thoughts I shouldn't wrestle with and what to replace them with, but I still felt lost. One day I sat down on the floor next to the bed after my husband had gone to work in a heap of defeat. I thanked God for showing me this truth, but was honest that I didn't know HOW to do it. He made it clear to me what to do next. Take a small piece of paper and write out 2 Corinthians 10:4-5 on one side, and write out Philippians 4:8 on the other, then make sure I have that paper with me all day. Then I set an alarm on my phone for every hour, on the hour, for the rest of the day and titled the alarm-Thought Check. Then every hour when that alarm went off, I would stop wherever I was, pull out that slip of paper, and pray over them. I had to stop and pray whenever it went off and re-fix my eyes on Him. Sometimes in the store, in traffic, or even out to eat with friends when I would just excuse myself to the restroom. If I wanted victory over this area I had to be intentional and consistent-contantly. I had gotten my mind into a habitual rut for over 20 years, and it was going to take a lot of hard work and prayer to get me out of it. Ya'll-it was revolutionary for me. 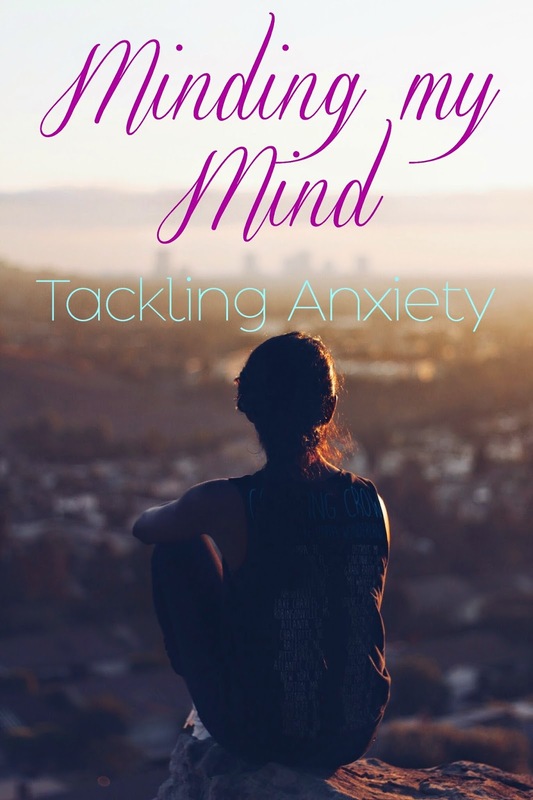 I'm not saying this is an answer for everyone, but after being a victim of my thoughts and anxieties for longer than I can tell you, I have to share a method that has really helped me.